strongly influences fruiting and flowering. is essential for good root and shoot growth. is very important in seed germination and viability. Flowers and flowering plants including edibles need phosphorus to produce many blooms and fruit. is the ‘ingredient’ of cell walls concerned with root development and growing stem points. helps ‘open up’ soil to allow more oxygen. With such important roles to play, these macro nutrients are vital for plant health and wellbeing. However, plants needs many other nutrients too (NOT just N-P-K)! A balanced slow release organic fertiliser with vital trace elements will supplement those not present in bananas. These types of fertilisers are usually in a fine powdered or pellet form that quickly dissolve and become plant available. That means they can be absorbed by microbes in the soil and fine plant root hairs. These organic fertilisers can be sprinkled directly onto the soil, slightly dug in or sprinkled into the foliage basin in the middle of plants like ferns. Seaweed or kelp liquid organic fertilisers also supply your plants with vital macro nutrients or trace elements. 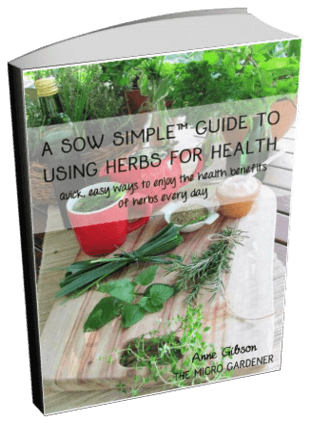 These are needed by plants in minute quantities for various functions. Kelp also helps build pest and disease resistance. A regular monthly foliar spray (on the upper and lower side of the leaves) early morning will keep your plants in good health. So back to the bananas! Soak a fresh banana peel in water for a day or two. Then use the water with the leached nutrients in it to water your staghorn (or other plants). Don’t let the peel go to waste though! 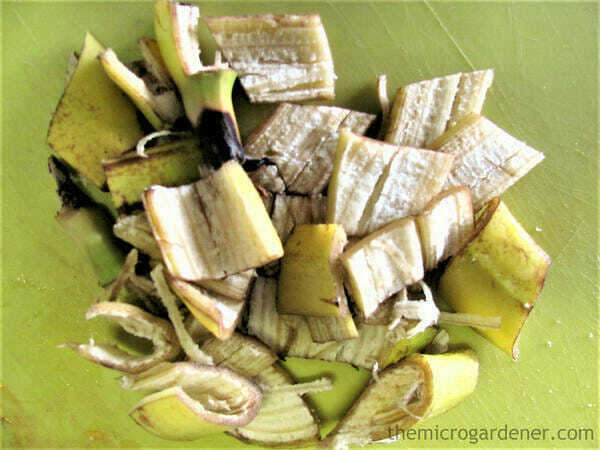 Chop up banana peels and add to your compost or worm farm. The microbes will help turn this nutrient-rich organic matter into plant food. 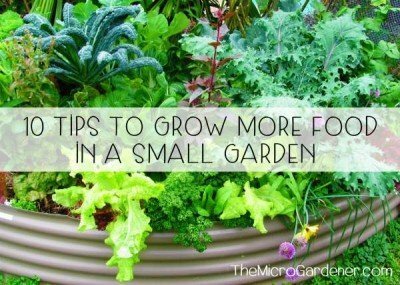 Or dig it into the soil around other plants to build up the organic matter and attract worms. Lift the mulch around your pot plants and add the peel on top of the soil or potting mix. Then replace the mulch. This method of fertilising is known as ‘side dressing’. You can add the peel to any potted plant under mulch to slowly release nutrients. TIP: The smaller you cut the pieces, the greater the surface area for microorganisms to get to work and the faster it will break down to feed your plants. 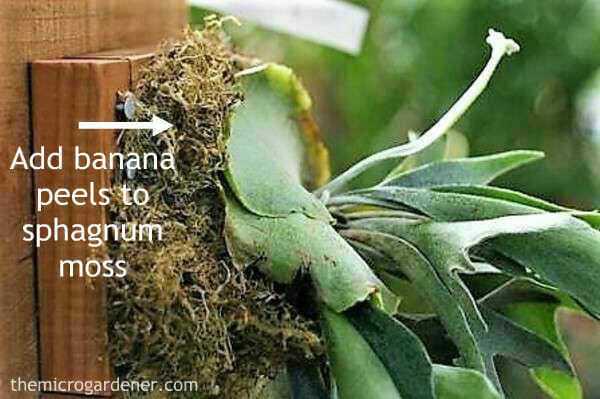 If your staghorn is indoors or close to the house and you are worried about the banana peel attracting fruit flies, there’s an easy alternative. Dry out the chopped banana pieces in a slow oven and then use them. Or put the chopped dried banana out in the sun under a strainer to dry out for a day or two into ‘banana chips‘. Scatter dried banana pieces in the centre of the plant and water them in. You can also bury these in pot plant soil. Or you can also mix them into the sphagnum moss if you are replanting or starting out with a new staghorn fern. Each time you water or it rains, they will provide slow release nutrition. If growing a staghorn, elkhorn, orchid or similar plants, put a whole banana peel between the plant and the backboard or tree trunk it is supported on. By placing it in this position, the banana peel will gradually decay and slowly release nutrients when the plant is watered or it rains. I also toss mine into the centre of birds nest ferns every month or so. 1. Have over ripe bananas you won’t use up? Don’t waste whole bananas or the skins – freeze them! When you have time to work on your garden, defrost the banana and add to the soil around the base of your plants. 2. Store bananas or peels in a self-seal bag in the fridge until you are ready to use them. Ideally, sprinkle some bokashi grains onto the chopped up peels, so the breakdown process is already getting started. These beneficial microbes help accelerate decomposition. 3. Spray the chopped up banana and/or peel with diluted seaweed or kelp. 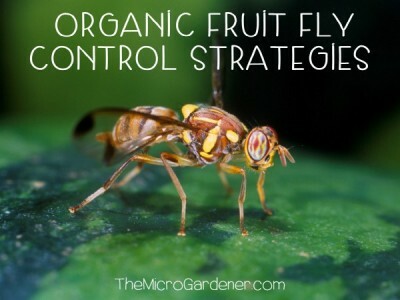 This provides additional ‘food’ for the microbes that will help break down the fruit faster. So, the nutrients can be absorbed by the plant. 4. Use with other homemade DIY fertilisers such as crushed eggshells and coffee grounds for greater effect. 5. 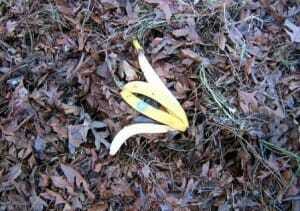 Use bananas (whole/peels) as a soil amendment. They are a rich source of organic matter so they add valuable minerals. The decaying organic material attracts beneficial microorganisms (microbes) and earthworms. These creatures help create air pockets in the soil and add their free fertiliser (worm castings). Add over ripe bananas or peels to compost. It is preferable to increase the surface area for microbes to break down by chopping up into smaller pieces first. Why Feed Banana Peels to Staghorns? Feeding banana peels to staghorns, elkhorns and other ferns is not an old wives tale. 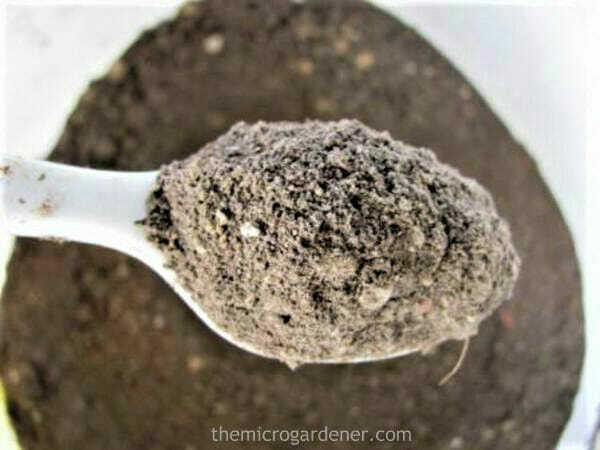 There are valid reasons why many people use this DIY fertiliser! Staghorn and elkhorn ferns are epiphytic perennials or “air” plants. 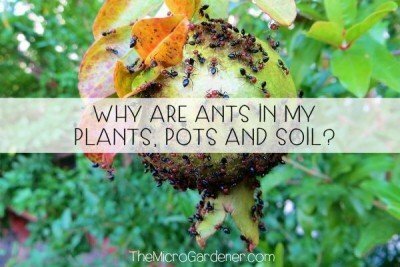 Because they don’t make contact with the soil, they get their nutrition substantially from the air. Quite an amazing concept! Bananas contain a relatively high level of potassium that helps displace sodium that can be harmful to salt-sensitive staghorns. They have many other benefits too. 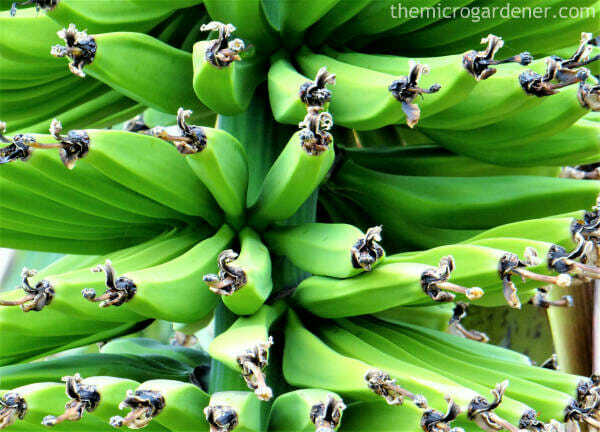 Hope this advice is useful and helps you get the most out of your plants and bananas! I was thinking of grinding up coffee grounds with dried banana peels and egg shells to make a mixture. Do you know how many eggshells, and banana peels and how much coffee grounds I need to make a healthy mixture? Is there some sort of ratio or measurement guidelines? I’ve been using a DIY compost, and it has helped, but I never actually knew how much the bananna peel actually would help. Can I grind banana peel, orange peel and other food waste without drying it and then add this to my soil? I am trying to keep critters away. Thanks! I’ve stumbled upon your blog a few days ago and I just can’t stop reading! Plenty of useful advice. 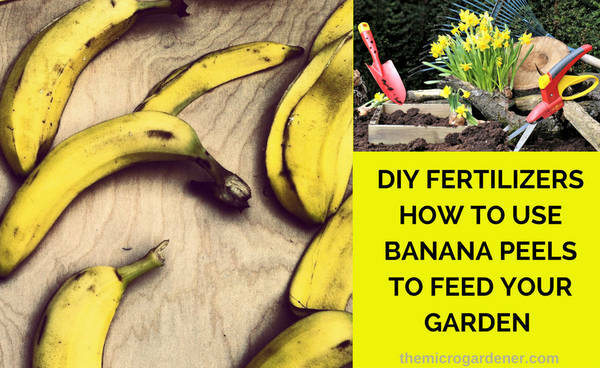 I’ve been looking for a way to use bananas as fertilizer for a while and there it is! Thanks again. I just wanted to say I have been using most of your suggestions in excess of 15 years with fantastic success. It is so nice to see this useful information shared as you do. Thank you for your efforts. I have been saving banana peels (air dried), egg shells and coffee grounds for use in my patio garden this spring. 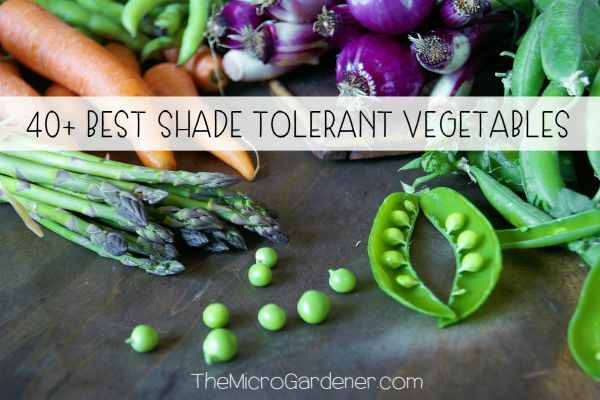 Which veggies will benefit most from each? * Potassium – helps promote general plant vigour; build up resistance to pest and disease; is necessary in fruit development; is involved in regulating around 50 enzymes in a plant and relates to the turgor (or uprightness of stems and the thickness of cell walls) i.e. plant strength! This is extremely important for plants like staghorns which literally hang onto tree trunks in nature and vertical vegies like shallots, leeks and fruiting crops. * Phosphorus – strongly influences fruiting and flowering; is essential for good root and shoot growth; pollination; and is very important in seed germination and viability. Again any fruiting or flowering plants. EGGSHELLS provide a good supply of Calcium, the most important mineral in the soil. It is the ‘ingredient’ of cell walls concerned with root development and growing stem points and helps ‘open up’ soil to allow more oxygen. Bottom line is all plants will benefit from the addition of calcium. 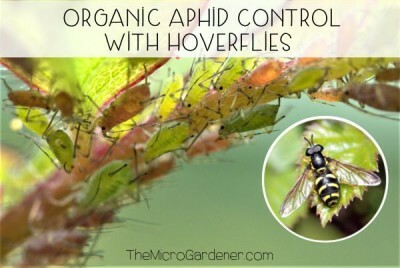 Add to your compost, worm farm and around fruiting plants especially. COFFEE GROUNDS are a great pot plant mulch IF sprinkled in a thin layer and then topped with a coarser mulch. They can also help feed the soil. Research studies found as coffee grounds decompose, they appear to suppress some common fungal rots and wilts, including Fusarium, Pythium, and Sclerotinia species. Vegetables like beans, spinach, tomatoes and cucumber would likely benefit. Coffee grounds are ideally added to compost (10-20% by volume). Saw 1 mention of asparagus juice as a deterrent to nematodes. Haven’t found anywhere on line how to make this and use it. Probably aren’t any instructions/recipes printed anywhere? Sorry Peggy haven’t heard that one before! You can encourage predators of nematodes into your soil by adding compost and green manures. Remember to destroy diseased plants, practice crop rotation and rest infected garden beds to starve the nematodes out. Hope this helps. Great article, thanks. My partner and I eat banana smoothies every morning. I collect up the banana peels through the day, make and drink the smoothies, and then blend up all the peels in some water and pour the mixture out under various plants. I think of it as some kind of compost tea. It also cleans out the blender pretty good. Thanks for the advice I will keep putting the skins in my compost bins. I have made a liquid tea from horse manure which seems to work well on my potted plants. I live in Spain and want to make my own fertiliser to promote flowers, can I cut up banana skins, put them in a 5 gallon container fill with water leave them to ferment for a month or two, and use as a fertiliser? If you ferment the banana skins, you will end up with an anaerobic liquid (lacking oxygen). This is not ideal as anaerobic microorganisms are not what you want in your garden. If you have a good supply of banana skins, add them to a compost system with as much diversity of ingredients as possible and make a compost tea as a liquid fertiliser. Compost is a great source of soil food. You could also add chopped up skins to your worm farm – worm castings are an excellent natural fertiliser and so cheap. 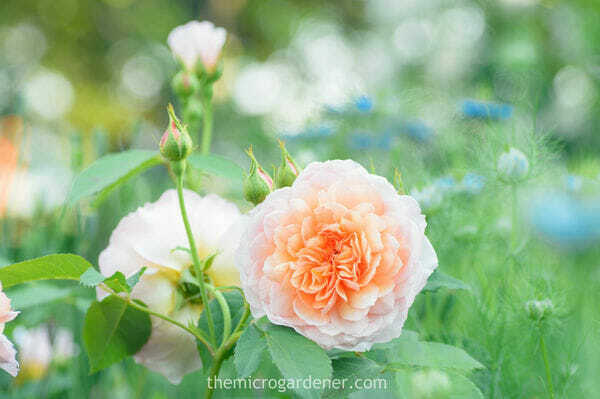 These are the very best sources of food for flowering plants. Remember you need to make sure your soil pH is balanced so your plants can access the nutrients. You can also add a balanced soft rock phosphate or crushed rock minerals to your garden to provide the necessary phosphorus in balance. Thanks Sue. If you are worried about squirrels digging them up, why not liquify the bananas in a blender with a bit of cooking water for extra nutrients? Then pour the liquid fertiliser around your plants and cover with soil. Mulching also is a good idea and helps feed your soil. I normally use old aquarium water after a water change (liquid gold on plants and veges), but didn’t know bananas had this similar use also. Thanks! Thank you for your response to my message. BTW, I should have said first time round that your article re potassium is wonderfully informative. Hi, I was searching for info re dilution rates for banana fertilizer when I found your article. Perhaps you could include mention of potassium as a valuable addition to Hoya pots to encourage flowering and also asparagus growing, in conjunction with other fertilizers of course for asparagus. Very interesting information about banana fertilizers shared here! 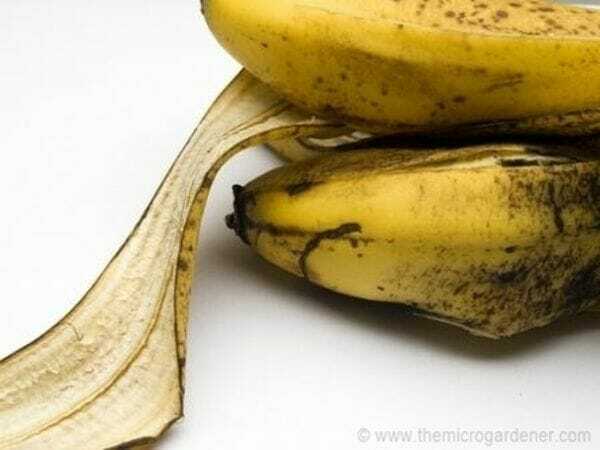 Using banana peels to feed the plants are indeed helpful in assuring the healthy growth of the greenery. Thanks so much for sharing this!